"Jitne safed baal mere sar aur dhaadi mein hain, usse kahin zyada rangeen meri zindagi rahi hain! 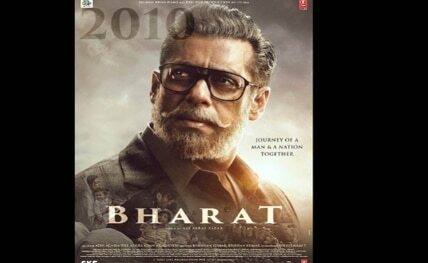 ‘Bharat’. (As many white hairs on my head and beard, I have had a more colourful life than that)," he wrote along with a poster of the film.